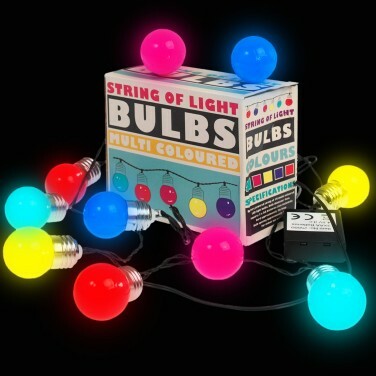 Whether you choose white or multi coloured bulbs, these retro light bulb string lights make a fun addition to kids rooms. 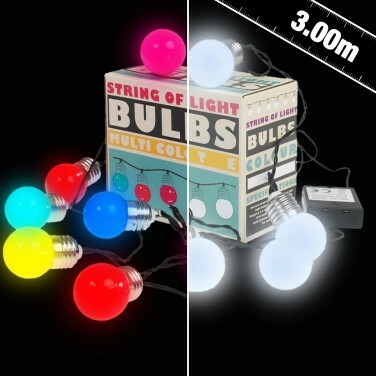 Battery operated, place this run of 10 LED bulbs anywhere in kids rooms brightening up even the darkest of corners with a magical glow. 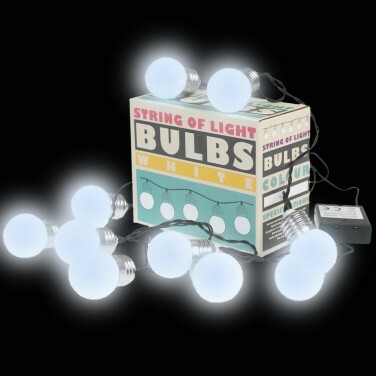 Perfect for looping around bedframes, for hanging around mirrors or for for highlithing shelves, these mini light bulbs transform your space with a party glow.